I have spent the past few years researching the emerging field of 3D Printing. I presented on the topic at a NYS legislative committee roundtable. I warned at the annual meetings of both Academy of Criminal Justice Science and the American Society of Criminology that within the next 1-3 years, a viable metallic printing solution will become available. I predicted that once it does, chaos will follow. The ability to print full metallic small weapons and parts of larger weapons from home is a very dangerous ability for anyone to have. These weapons would not have serial numbers and would be untraceable. I have been warning about it for 3 years… and now that has finally arrived. 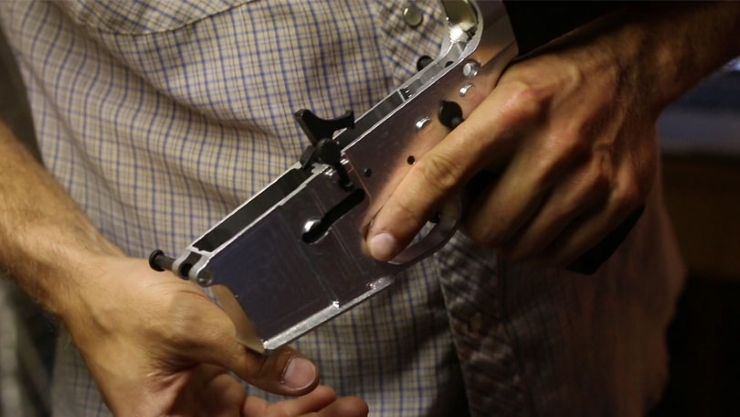 Dubbed the “Ghost Gunner” this $1,200 device takes solid aluminum blocks and using a technology called computer-numerically-controlled milling, gradually grinds away at a solid block of aluminum until only the design is left. The process is completely computer controlled. The user just inputs the design (weapons schematics are available online) inserts a block of Aluminum and “hits” go. Many hours later a gun part made of solid aluminum emerges. This technology has been used for years in iPhone and other electronics manufacturing. However, for the first time, the technology is being made affordable enough for home use. Computer-numerically-controlled mills can make very dangerous objects. Now that they are being sold for home use manufacturing weapons without serial numbers has become easy. It is my belief that this type of technology is dangerous and should be regulated at both the Federal and State level. One option could be to require federal registration for sale or ownership. Another policy option could require licensure for these devices. I believe Congress and the States should pass legislation categorizing this device and institute legislation to keep these devices from being misused on a large scale. There is not much time before thousands of these printers will be shipped around America. A possible scenario to leave you with: a criminal prints out a functioning small firearm and uses it to kill someone. The criminal can just put the firearm back in the machine that created it. The machine could then turn the murder weapon to dust. Adam Scott Wandt, J.D., M.P.A., is an Assistant Professor of Public Policy at John Jay College of Criminal Justice, where he serves on both the Graduate faculty of the Digital Forensics and Cyber Security program and the Masters of Public Administration in Inspection and Oversight program. Professor Wandt is an Attorney and Counselor-at-Law in the State of New York. Media requests on this issue should be sent to the attention of apiyapinansook@jjay.cuny.edu with “Ghost Gunner” clearly identified in the subject line.